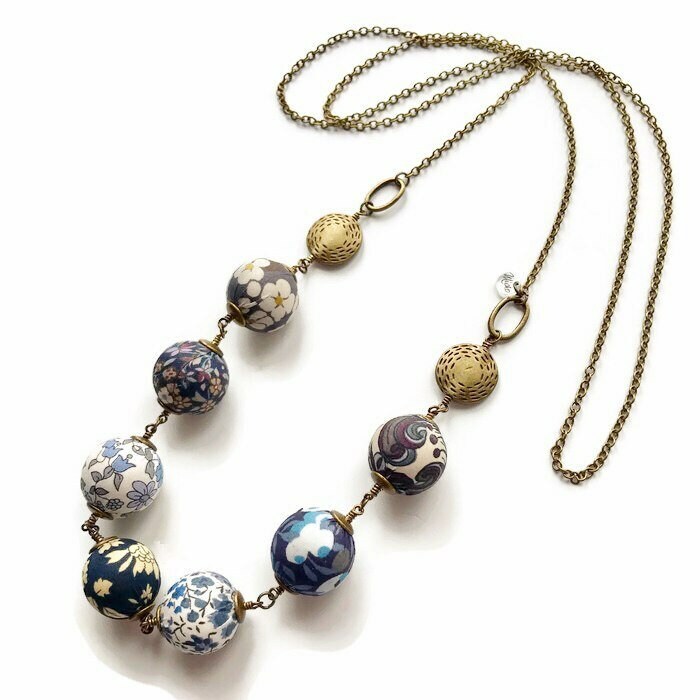 A one-of-a-kind multicolor necklace made with 7 lovely textile beads hand made with a wooden bead covered with 100% cotton Liberty fabric, antique brass components and chain. Includes a small transparent "Micho" signature charm for Marie Michaud Bijoux. This unique piece of jewelry will certainly be a perfect accessory all year long! 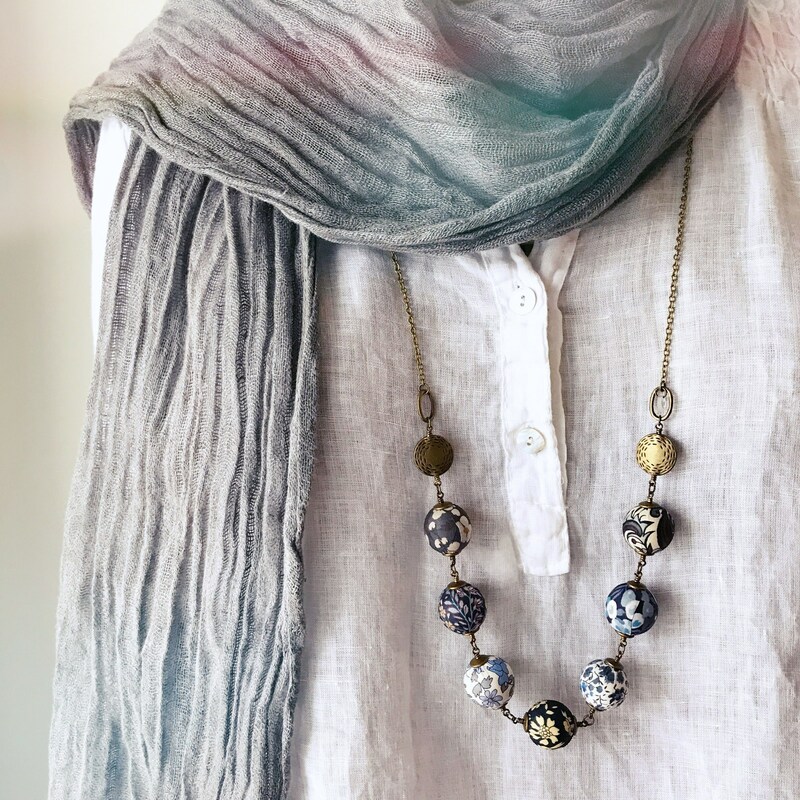 Wonderful on a light summer blouse or dress as well as on a warm and cosy sweater. It will be a great gift for a woman who likes to stand out from the crowd and who enjoys wearing romantic accessories! 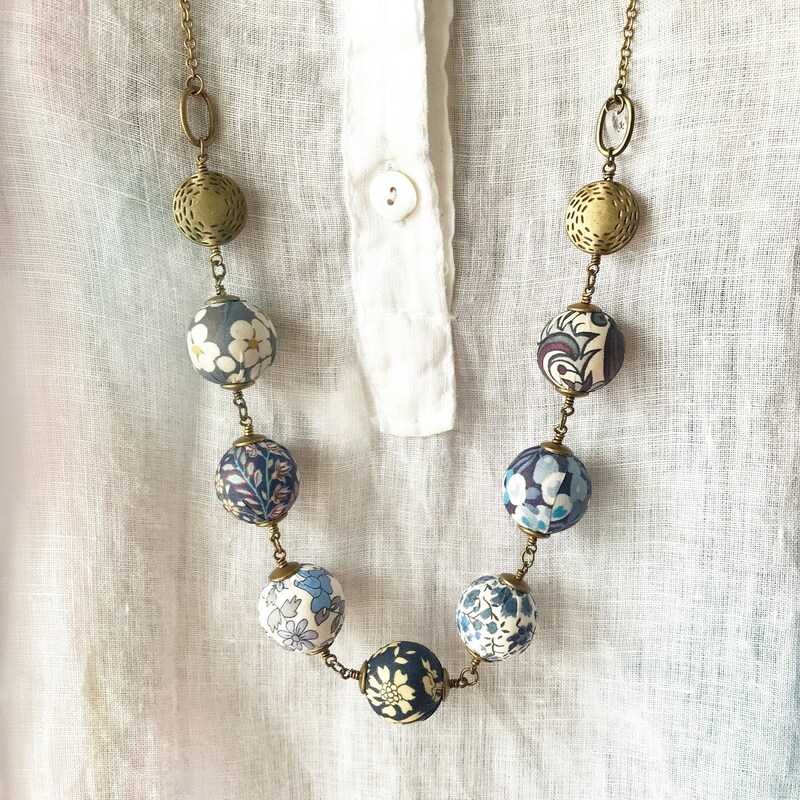 These textile beads are really lovely and made with my own special technique! Please keep this textile necklace away from water and household products. However, in case of a small stain, the textile beads can be cleaned with a soft wash cloth and a little soap and water. All my textile beads are made with gorgeous Liberty-of-London Tana Lawn fabric. Tana Lawn cotton is unique. Made from specially selected ultra-fine cotton and finished without the use of crease-resisting chemicals or irritating allergens, the result is a famous masterpiece of fabric technology with brilliant reproduction of colors and prints! All my chains and components are brass. You won't risk allergies and the metal won't leave any stains on your skin. If you wish to clean your jewelry made with brass you may clean it with soapy water and a soft cloth. Storing your jewelry away from light is best. The necklace will be shipped gift wrapped ! Original and unique boho style designer jewelry. 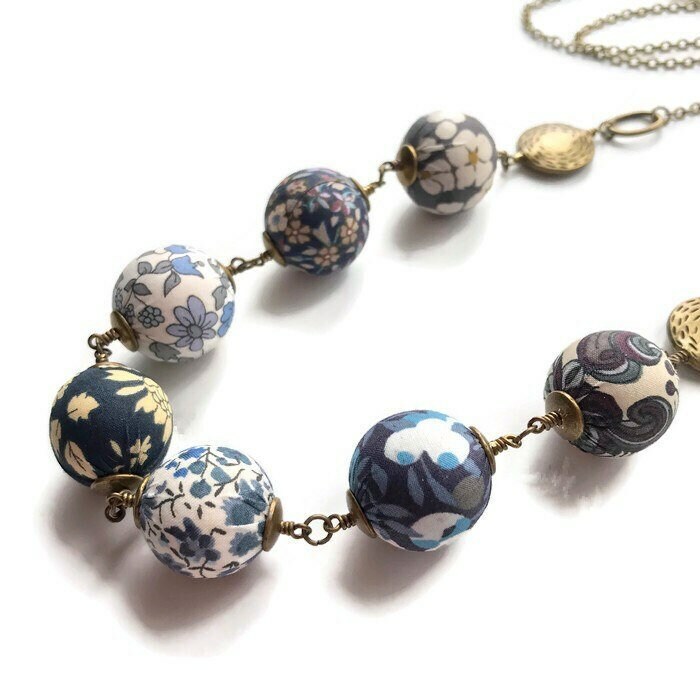 Hand made Liberty print textile beads. This necklace doesn't have a clasp, you must put it over your head. The total length of necklace: 110 cm or 43 1/4 inches.